Coconut comes in many different forms - dessicated, milk, cream, water, essence and flour. 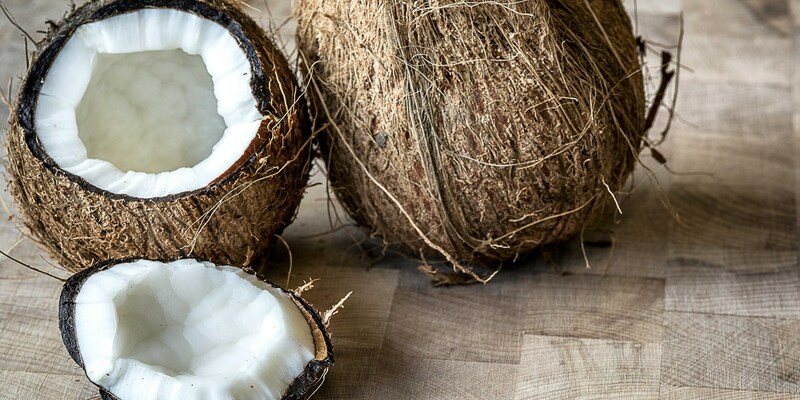 The mild, milky flavour of coconut becomes more creamy and nutty when toasted or baked, so is ideal for using in baking, while coconut milk is often used in South-East Asian cuisine. This lovely bunch of coconut recipes includes Andy Waters' coconut cookies, Matt Gillan's duck breast with coconut, pineapple and cashews and Vineet Bhatia's coconut-pistachio snowballs.